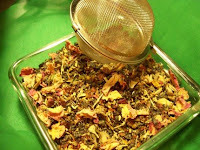 Escape the stress of your day with this bath tea blend of all natural, organic herbs. As with all of my tea blends, each one is handmade to order to ensure optimum freshness. All tea blends are made with wildcrafted and organic herbs - either from my wildcrafters farms; reputable organic growers; or my own garden. This bath tea will suit all skin types (including men!). 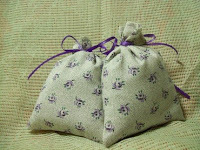 I am offering 4 x half ounce bags for $13 These are reusable for at least 3 to 4 baths. Need to get in shape for the holidays?! This all natural tea blend suppresses your appetite and kicks starts your metabolism. It prevents the formation of fat and cholesterol in the l; blocks the conversion of sugary foods and starches into fats; and raises seratonin levels in the brain (which is a key factor in appetite control). Eat well-balanced, healthy meals and exercise to your choosing - even if it's just a walk around the block! Drink 1 cup 30 to 60 minutes before meals, 3 times a day. Do not eat too many high fiber content foods with this tea, and do not use with any other weight loss products. Also, do not use if pregnant or nursing; or if you are taking any cholesterol medications of any kind. This tea blend is safe for your heart and is completely natural. Please note: this tea is not the most pleasant tasting! You can sweeten it with honey, or your choice of sweetener! I am offering a 2 ounce packet for $17.50 This amount will make 10 to 14 cups of tea. 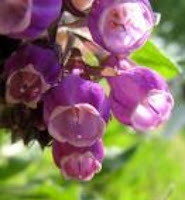 PLEASE NOTE: all products, pictures and descriptions in my Etsy store are the sole property of Lavender Dragon Herbs under Copyright and Trademark Laws. These all sound great! I'm very excited to have my 'pleasantly plump' tea on the way and hope to be 'pleasantly svelte' by Christmas!